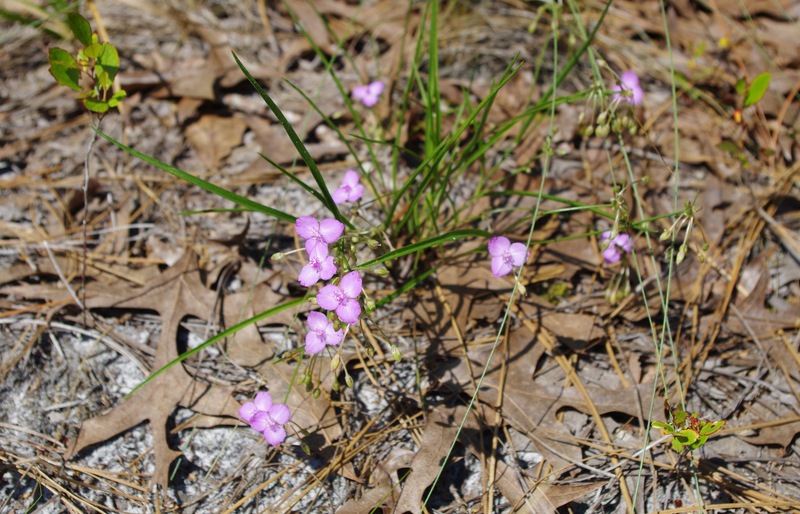 Grassleaf Roseling has beautiful flowers that are showy despite their small size. 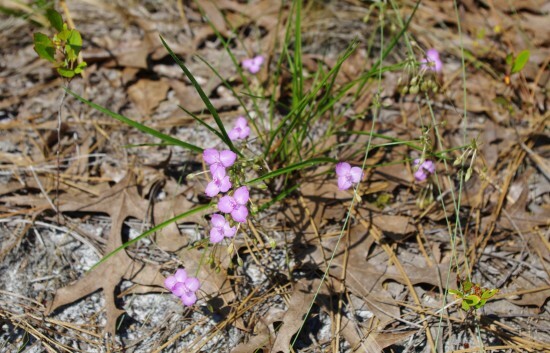 Grassleaf Roseling is common on the coast, especially in Longleaf Pine/Turkey Oak habitat. Note the dried turkey oak leaves on the ground in the photo.